Johnny Timpson, financial resilience and protection specialist at Scottish Widows talks about building consumer financial trust and resilience. The pooling of risk to help improve financial resilience to loss resulting from perils is a notion which goes back to ancient times. The concept of sharing risk began 5000 years ago when Chinese merchants started mixing their cargos in order to distribute their goods across multiple ships. The downside, of course, was that if a ship went down, it took a share of each merchant’s goods with it. The upside was that every merchant was ‘insured’ against losing everything. This concept was developed further by the Babylonians (who introduced the market rules of trade – let’s call it ‘compliance’) along with the Greeks and the Romans, who brought a type of ‘group risk’ in the form of occupational death benefit with their legions to Britain. This risk sharing ‘insurance’, came to be because Chinese merchants and Roman legionnaires trusted each other to keep everyone’s best interests at heart. This was developed further again during the industrial revolution with the development of Friendly Societies and then to the modern insurance industry we have today. Today, as in ancient times, trust and insurance are inextricably intertwined, illustrated by the Chartered Insurance Institute’s 1912 Royal Charter whose core objective and promise is the gaining and retention of public and business trust in insurance. The maturity and size of the UK insurance market, particularly life and health insurance, evidences an underlying and continuing level of consumer trust which has been built over the years largely by the provision of relationship-based advice and sales. For decades, prior to the 1986 ‘Big Bang’, the industrial and single tied ‘man from the Pru’ sales model delivered in front rooms was a key financial protection distribution channel with the provision of bank-based advice a channel of choice for more affluent consumers. This industrial sales model was disrupted by the regulation of the Financial Services Act 1986 which ushered in the availability of independent financial advice and choice of provider to the wider market. While this choice has been further enhanced by the digital age, what we have witnessed in the last 30 years is a vast reduction in proactive personal contact and advice at moments and places that matter. This has been compounded in recent years by the Retail Distribution Review and the subsequent reduction in the number of financial advisers from around 100,000 a decade ago to 20,000 or so authorised advisers practicing in the UK today. In addition, and often overlooked, is that the personalised protection awareness, education, capability, coaching and mentoring that was delivered by the industrial agents of the past has not been adequately replaced by the distribution channels of today. It has largely been ‘outsourced’ by the industry to the Money Advice Service. This outsourcing has taken place against a backdrop of increasing consumer financial protection needs as secured and unsecured credit levels have increased, pension investment risk has transferred from the employer to the employee, the world of work has changed, retirement ages have increased , working age welfare support has diminished and protection insurance product solutions have grown in complexity. The shift from regular personal contact, relationship and advice models to infrequent transactional and increasingly non-advised protection distribution models has also made it difficult for the industry to respond to a number of the scandals that we’ve seen in the last twenty five years. This in turn has contributed to diminished consumer trust in insurance. It was against this background of diminishing consumer value and trust that the joint Law Commissions of England, Wales and Scotland proposed a five-year non-contestability period in July 2007, but in relation to life assurance and accelerated critical illness benefits only (non- contestability periods being a feature of the main protection markets worldwide). While this particular joint Law Commission proposal did not make it into subsequent insurance law, it arguably contributed to an industry change in the treatment of non-disclosure that has significantly improved consumer outcomes. However, even after a decade of insurers publishing their claims paid statistics, diminished consumer trust remains an issue and the action being taken by the Chartered Insurance Institute later this year to measure and benchmark consumer trust is to be welcomed. 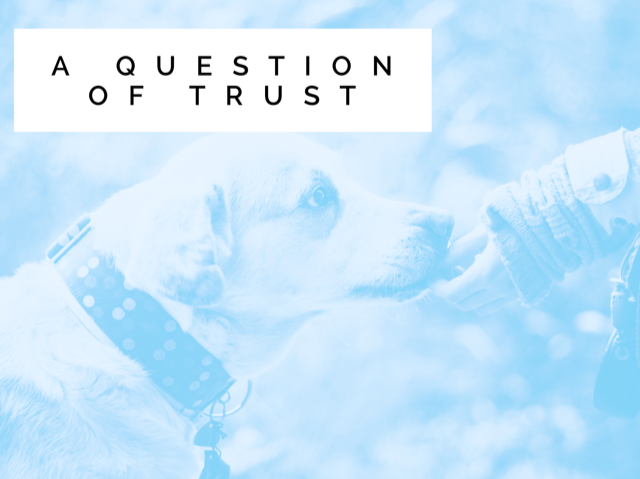 This long-needed research will enable us as an insurance industry and profession to tackle the issue but, we have to mindful that there are no silver bullets, improving consumer trust will require sustained commitment and time. In terms of what tackling the issue might entail, while we’ve just seen one recent new entrant to the UK intermediary protection market introduce the Australian concept of critical illness definition ‘upgrades’, I don’t see an immediate requirement for us to embrace the Australian two-year non-contestability model as a means of growing trust, especially so given the great strides made by UK protection providers to improve financial protection products, services and consumer outcomes in recent years - This described by Jeff Prestridge on May 30th as “ An insurance revolution”. I do suggest, however, that we commit as an industry to revisiting the need to build and maintain customer relationships, making insurance more accessible and collaborating in a 7 families way (www.7families.co.uk) to improve UK household financial resilience through the provision of improved consumer financial awareness, education and capability. With royal assent just given to our new Single Financial Guidance Body, the timing could not be better and the consumer need for the ‘assurance of insurance’ could not be greater.